Park Geun-hye has been removed as President of South Korea. Park was a despot. Her "election" was orchestrated by her predecessor's government, the Grand National / Saenuri Party & President Lee Myeong-bak 이명박. Korea's 2012 presidential election was globally infamous for criminal interference, as the government used a team of 70 agents from Korea's National Intelligence Service to spread lies about the opposition candidate and talk up Ms. Park Geun-hye. These Psychological Warfare Division Cyber Warfare Command agents were later assisted by the Seoul Metropolitan Police Office, whose coverup was surmounted by Korea's Supreme Prosecutor's Office. Sounds dirty ? It was probably worse. Park is vindictive and anti-democratic. She interfered in the livelihood of thousands of artists and entertainers by reportedly placing them on a blacklisted enemies list (link). Her right-wing government declared the 60,000-member Korean Teachers’ & Education Workers’ Union (KTU) illegal (link), and systematically sought to destroy it. Who were the strategists forcing the dark Park right-wing regressive agenda? 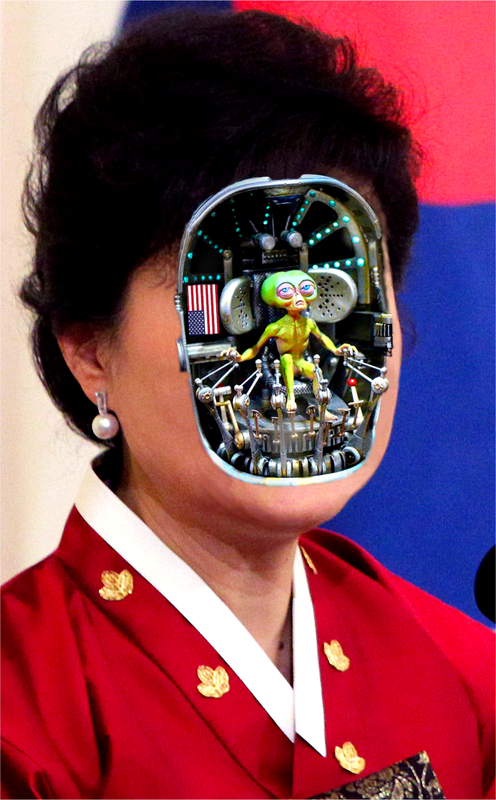 Park was partly propped-up by her crony Choi Soon-sil (최순실). But Yankee may at least be partly responsible... America's position in Korea requires knowledge of all such dirt.